In 1891, RC took his wife, Caroline, along with Fanny and Williy to Antwerp from New York. Besides visiting relatives in Belgium and France, he also wanted to settle the estate of his wife’s English godmother, Leah Eldred Marsily. (See the Marsily Estate page for details.) 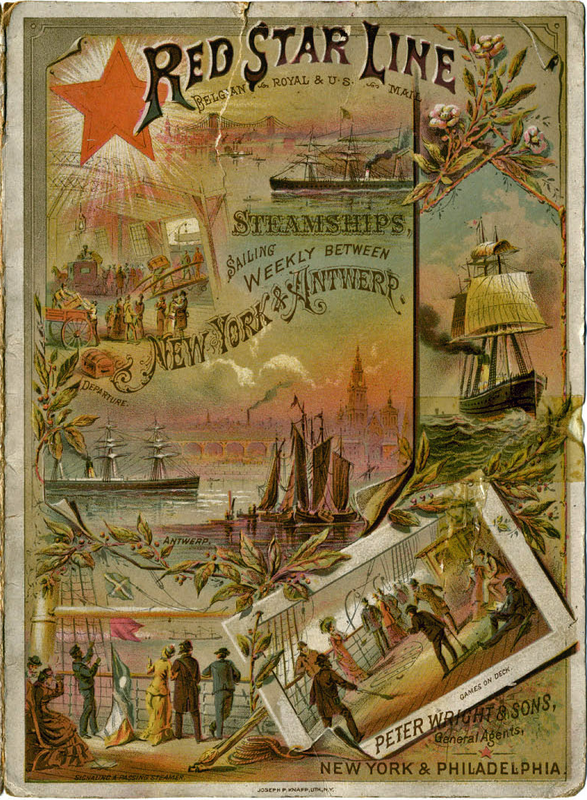 They sailed on the Red Star Line’s Noordland on May 20 from New York to Antwerp. We can imagine that their outbound trip was a very pleasant one – barring bad weather – for the European agents for the Red Star line were von der Becke and Marsily, the latter being Caroline’s relatives. 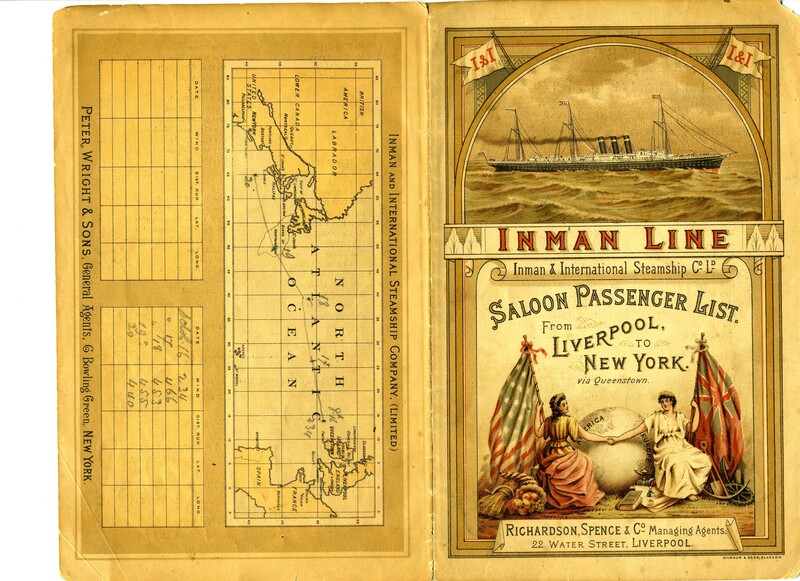 At the time the ships published a brochure listing captain, crew, the names of first (“cabin”) class passengers, and a log for recording the ship’s progress. Many thanks to our cousin, Alain Marsily, who pointed out that in 2013 the Red Star Line Museum opened in Antwerp. See http://www.redstarline.be/en for a virtual tour of the museum. After four months or so in Europe, the family sailed back to New York from London on October 14. Again they traveled first class.